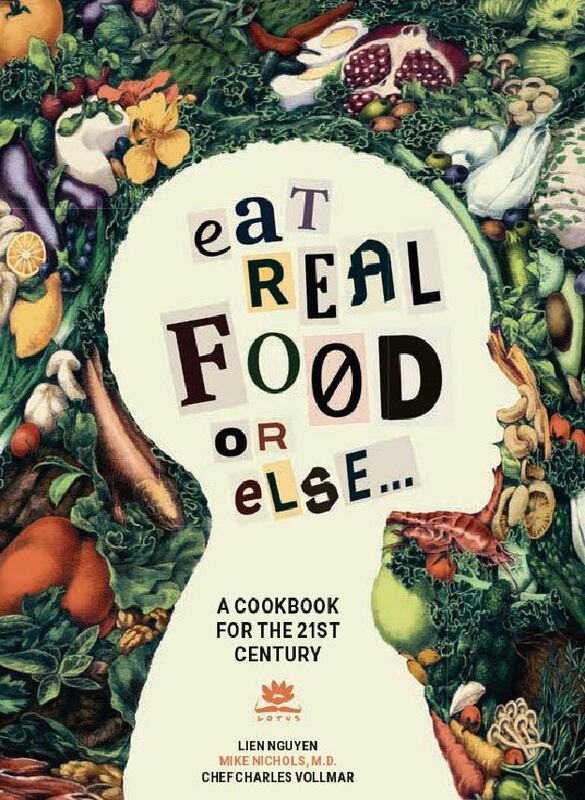 Dr. Mike, in addition to coauthoring Quantitative Medicine, also coauthored a nutrition guide and cookbook called Eat Real Food or Else. Besides having a detailed chapter in Quantitative Medicine-style nutrition, it contains 90 delicious step by step recipes. 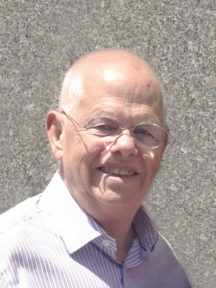 The other two authors are Lien Nguyen, an award winning French Vietnamese cookbook writer and Master Chef Charles Vollmar, who created most of the recipes. This book has been out for about a year and a half. 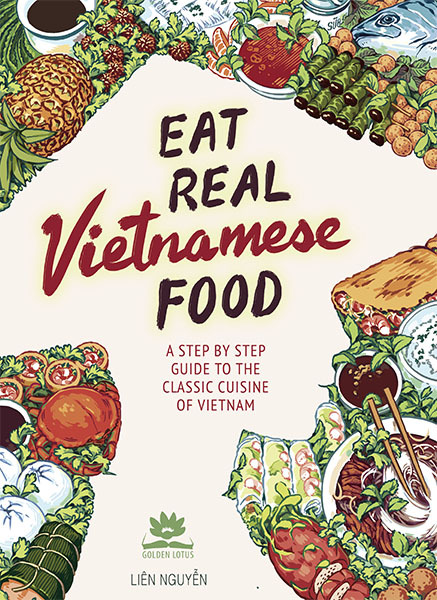 Lien Nguyen has a new book out in a similar format, titled Eat Real Vietnamese Food. It is a high-quality full-color hard cover with dust jacket production featuring over 90 super-delicious (I’ve had them all) recipes. All step by step and illustrated. There is also a guide to Asian foods: how to find them or find reasonable substitutes. will adjust the quantities to the number of servings desired. 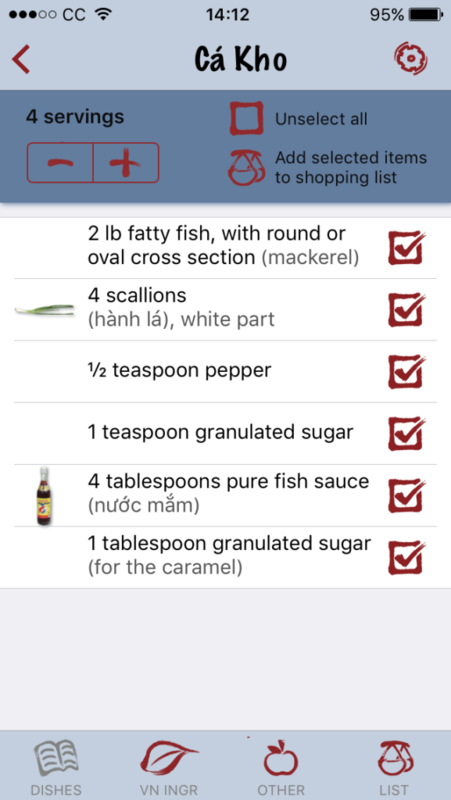 In addition to automatically populating the shopping list with the chosen recipe’s ingredients, it also functions as a general purpose shopping list app. Navigate to the publisher’s (my) secure bookstore: https://GoldenLotusPublishing.com/shop. Choose any or all books (preferably the latter). When you get to the shopping cart or checkout page, enter ERVF50 as a discount code and get 50% off. Shipping is media mail, which now has tracking, and, except around Christmas, is as fast as anything else (2-4 days). Media mail is very cheap. All three books, total weight ~7 lbs., ship anywhere in the US for $6.06 total. Quantitative Medicine is also included in the discount offer, should you be so inclined. Quantitative Medicine makes a great “stocking stuffer,” we think. 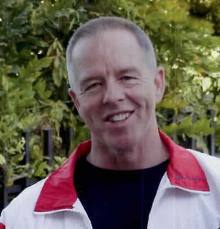 Give the gift of health.